As a cross-platform mobile message app, WhatsApp Messenger allows us to send texts, photos, videos, voice without having to pay. 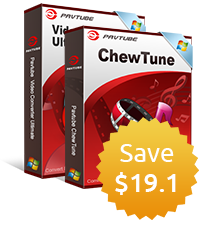 This app is now widely available for iPhone, Android, Windows Phone, BlackBerry and Nokia, etc. Although we know that the WhatsApp messages are very important to us, however, we can not prevent them getting deleted or lost due to some unexpected situation. The good news is that there are several options to restore lost WhatsApp messages. This article, we have listed 4 different ways to recover WhatsApp messages, they have their own merits and drawbacks. 1. Open WhatsApp and tap More... > settings > chats and calls. 2. Under backup you will see the time of the last backup (Note: do not tap backup, otherwise a new backup will be created). Then, uninstall and reinstall WhatsApp. After reopening WhatsApp, you will be asked: "Would you like to restore your message history from backup?, choose restore. sNote: Any message deleted from your iPhone before the backup was created will not be restored. 2. 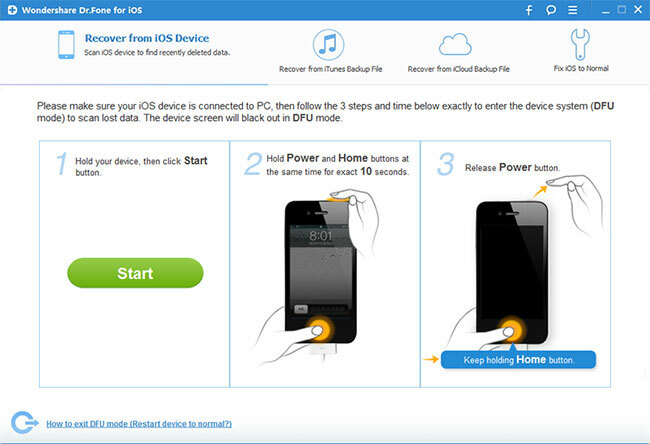 Connect your iPhone to the computer, right-click your iPhone in the devices list and click "Restore from Backup". 3. Stay in the backup file contains WhatsApp messages, click "Restore". Like the restore from WhatsApp auto backup, this method may lose the newest WhatsApp messages and what's worse, you will lose many other latest data on iPhone, since it simply rolled back your iPhone to an earlier revision. A better and safe alternative way to selectively recover deleted iPhone WhatsApp message can be achieved with our iOS Data Recovery to extract lost data from iTunes backup file. Since version 2.10, WhatsApp has the built-in iCloud backup feature to back up your chat history so you can restore the chats in case that you mistakenly deleted your WhatsApp chat history. Go with the steps to restore WhatsApp message from iCloud backup file. 1. 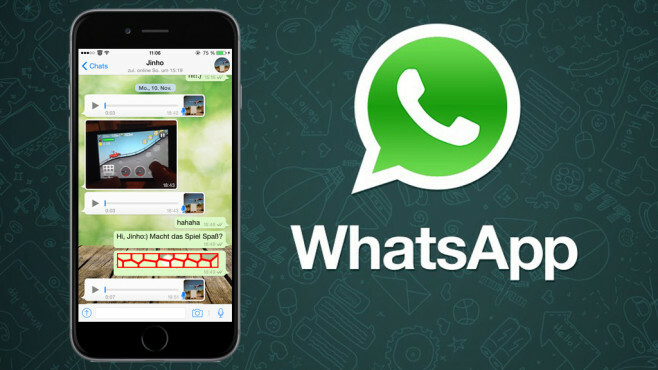 Launch WhatsApp on iPhone. 2. Go to Settings > Chat Settings > Chat Backup to ensure you have activated iCloud backup for your WhatsApp chat history. Your last WhatsApp backup on iCloud date and time can also be found there. 3. Go to delete WhatsApp from your iPhone. 4. Reinstall WhatsApp from Apple App Store. 5. Verify your phone number, then follow the on-screen prompts to restore WhatsApp chat history. Tip: The phone number used for backup and restoration must be the same. You cannot restore the chat history from another WhatsApp account. 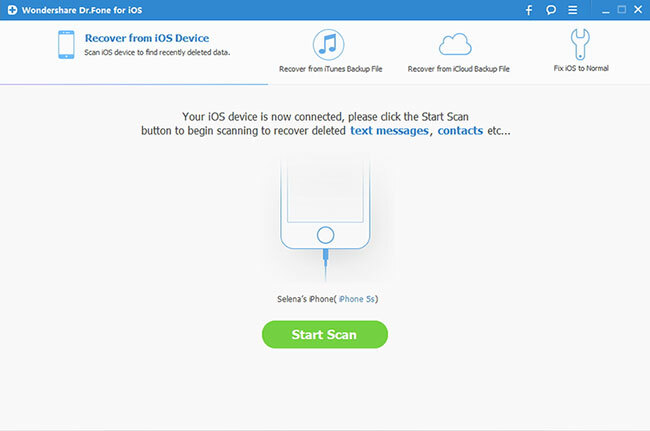 Following this guide to recover deleted WhatsApp message by downloading from iCloud backup file. 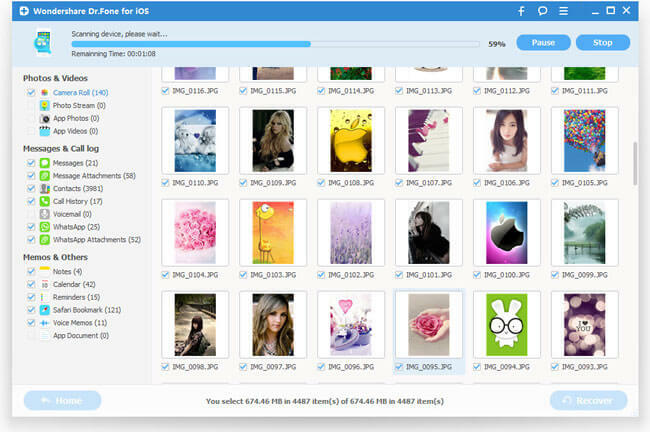 All above methods work in the condition that you have made a backup before, if you have no backup of your WhatsApp messages to neither iTunes nor iCloud. You will need a professional third-party tool to assist you to restore deleted WhatsApp message directly from your iPhone. 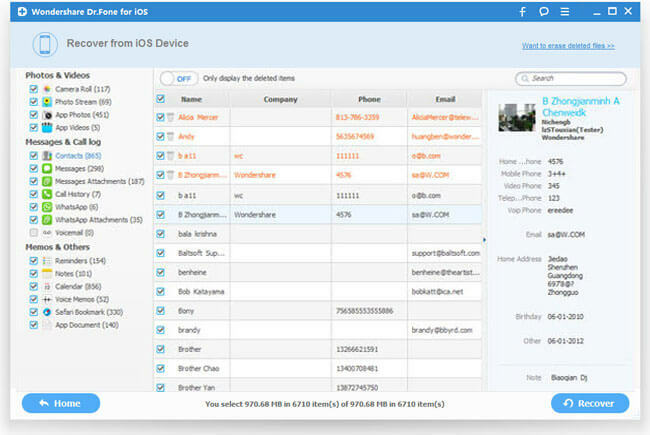 Before perform the data recovery process, stop using your iPhone immediately, all the deleted data on your iPhone will be overwritten by new data entry. 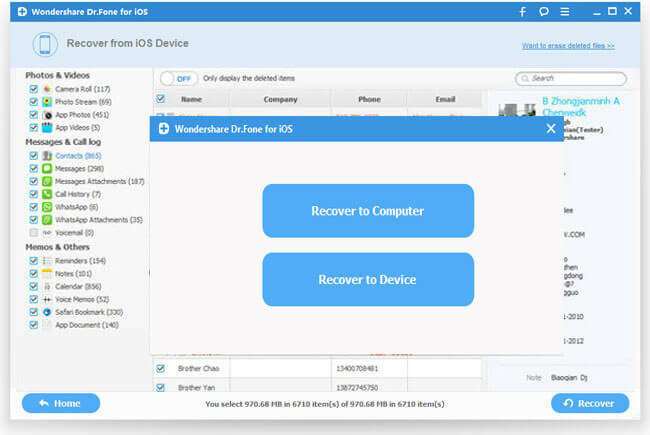 Then you can start to restore iPhone deleted WhatsApp message with a reliable tool called iOS Data Recovery (Top 5 iPhone Data Recovery for Windows 10) to get back deleted WhatsApp messages. Just connect your iPhone to your computer to enable to program to take a deep scan of your iPhone to find deleted or lost data, then you will be able to selectively recover your deleted WhatsApp message by file category and file type. The program has full support for all available iPhone models including iPhone 6S/6/5S/5C/5/4S/4/3GS. When the scanning process is over, a scan result with both lost and existing Data on your iPhone will be displayed in categories. To filter out the deleted WhatsApp message on your iPhone, you can turn on the option "Only display the deleted items". You can preview the found data on its file type by clicking the “Message & Call Log” > “WhatsApp” in the left side. You can also search for a specific file by typing a keyword in the search box on the top right of the window. Step 4: Recover deleted WhatsApp message from your iPhone. When you find the WhatsApp Message you need, select them by putting a check mark in front of the box. After that, hit the "Recover" button at the bottom right of the window. And the recovered data will be saved to your computer by default. As for WhatsApp messages, when you click Recover, a window will pop-up to ask you to "Recover to Computer" or "Recover to Device". If you want to put these messages back to your iPhone, click "Recover to Device".